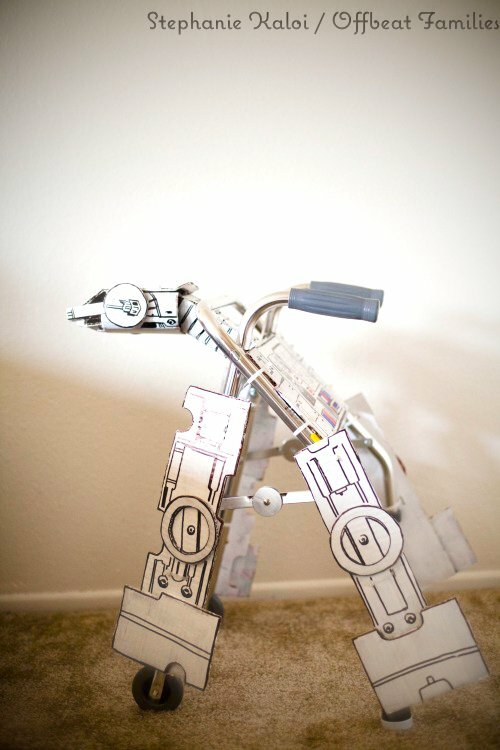 Star Wars day is tomorrow. To help amp up for the geek filled festivities that await us on the weekend, I have this great feel-good news story to share. 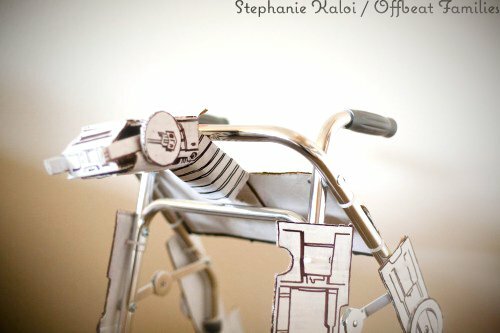 Stephanie Kaloi’s little four year old son recently underwent surgery on both of his legs. 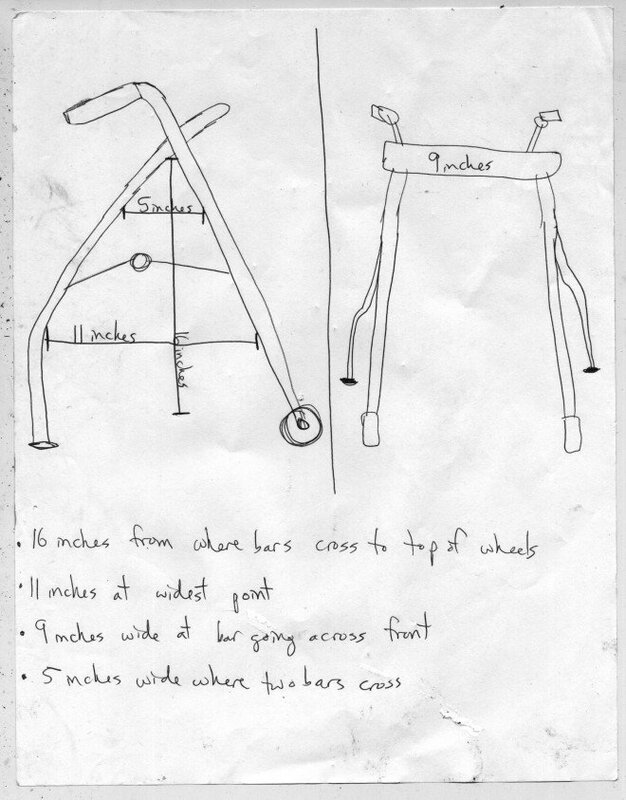 To help aid his recovery he was given a generic walker for daily use. 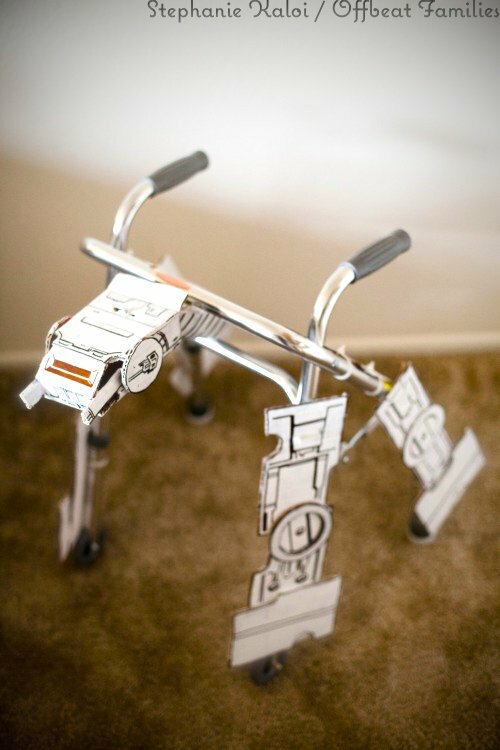 According to Stephanie, her little boy’s imagination took over and he pretended that his walker was an AT-AT from the Star Wars universe (it is a sign of good parenting when kids of today are aware of Star Wars). 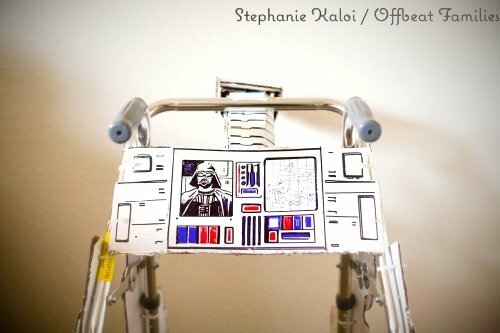 Stephanie and her husband then took the creative initiative to turn their son’s imagination into reality with a custom designed walker that resembles an actual AT-AT. 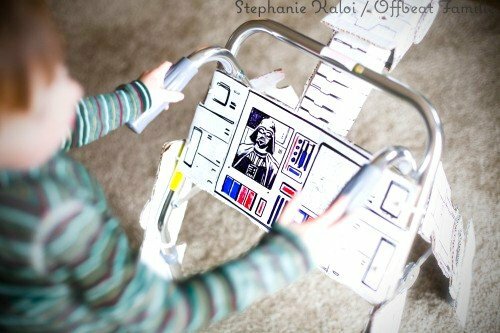 To help bring their child’s imagination to life, the Kaloi’s requested the help of Clone Wars cartoonist and friend, Ben Dewey. The results of this personal family project are awe inspiring and can be seen below. 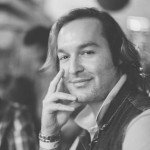 Next articleWhat Geek Are You?